Samuel Patrick Smith, Professional editor, writer and publisher. 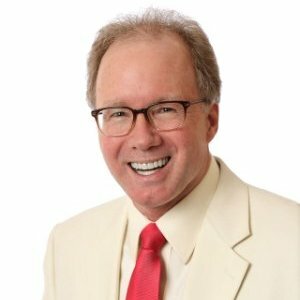 Samuel Patrick Smith has written for Daily Word, he has been featured on Unity Online Radio, and, as a professional magician, he provides Big Laughs for Little Children at SPSMagic.com. The following transcript is from a 78-rpm record in my collection issued by Unity School of Christianity. In just over one minute of playing time, Unity co-founder Charles Fillmore shares not only his faith and enthusiasm, for which he is famous, but also his love of literature and poetry with a stanza from William Cullen Bryant’s "The Battle-Field." 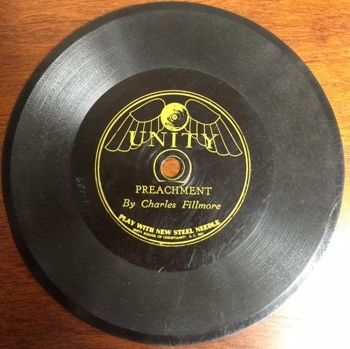 Listen to Charles Fillmore's 78 rpm record Preachment. Radiate joy, health, prosperity! Let your light shine. How do you do this? By your thoughts and your words. Then let your thoughts and your words be of praise, thankfulness, joyousness. Search for the good in all people and you will find it. Ignore the evil and it will perish of its own ignorance. All true success awaits you — even now is running a secret course in your life. You do not see it? Look again. The Golden Stream is steadily coursing through the inner realms of your consciousness. The Kingdom of God within you is surcharged with good. Seek that good and you will surely find it. Fillmore’s rendering follows later quotations of the poem, such as references in "The Religious Heresies of the Working Class" published in The Westminster Review, Volume 77 (1862) and The Spiritual Magazine, Vol. 3, page 148 (1868). Contribution and guest article by Samuel Patrick Smith. Thank you, Sammy!